Our characters are endearing, funny and caring! Each piece is handmade with care in Quebec. Glass is a safe material and much stronger than we think. 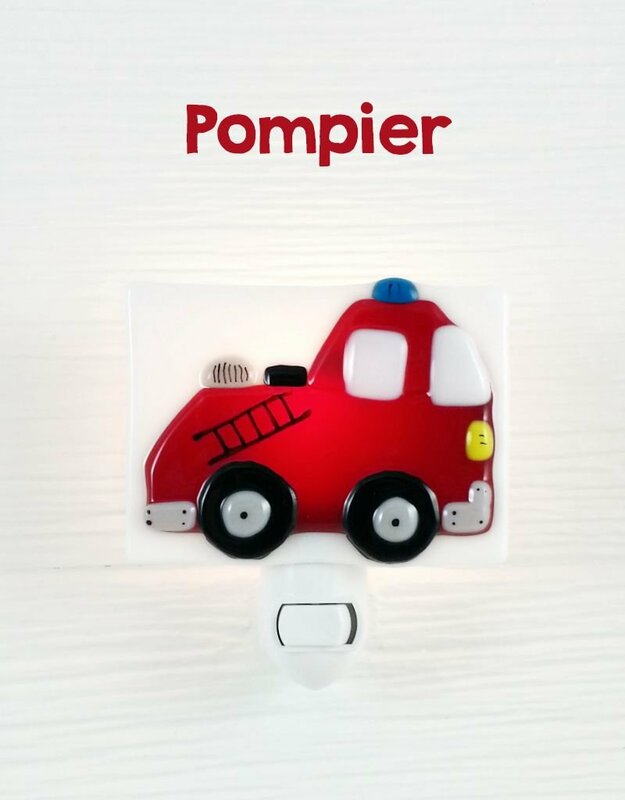 It is an ideal material to design nightlights because unlike porcelain, the glass does not become warm to the touch for the little ones. In addition, the glass is not likely to melt, unlike the plastic night lights. Finally, glass is an ecological and sustainable material. The night light will still be beautiful and will keep its colors and details in 50 years! The night lights are very practical to reassure the child who is afraid of the dark, to enlighten the parent who must get up at night to feed, change a diaper or give a medicine. It can be placed in the hallway, in the bathroom and even in the kitchen! - The glow of the night light is strong enough to light up the whole room. As an indication, you could read a little book if you sit next to the night light. - The provided bulb is a 5 watts, be careful not to use a bulb higher than 7 watts. - We are now offering our customers the option of purchasing a specially designed LED light for our night lights. They are soft, warm (not bluish), ecological and economic. In addition, they will last longer! LED bulbs are available on the online store or at our store in Laval. - A mechanism for European electrical outlets (France, Belgium, Switzerland, Germany, the Netherlands, ...) are also available on the online store. A bulb adapted to the 220 volt sockets will be supplied with your European mechanism. Attention, the American bulbs are not compatible with European mechanisms because the voltage is not the same. This product is not a toy, parental supervision is recommended. 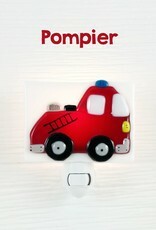 The decoration of your little one's room will be complete with a product Veille sur toi! Thank you for encouraging a growing Quebec company! This product is the exclusive property of Veille sur toi. Any reproduction, in whole or in part, by any process whatsoever, is prohibited without the written permission of Veille sur toi.